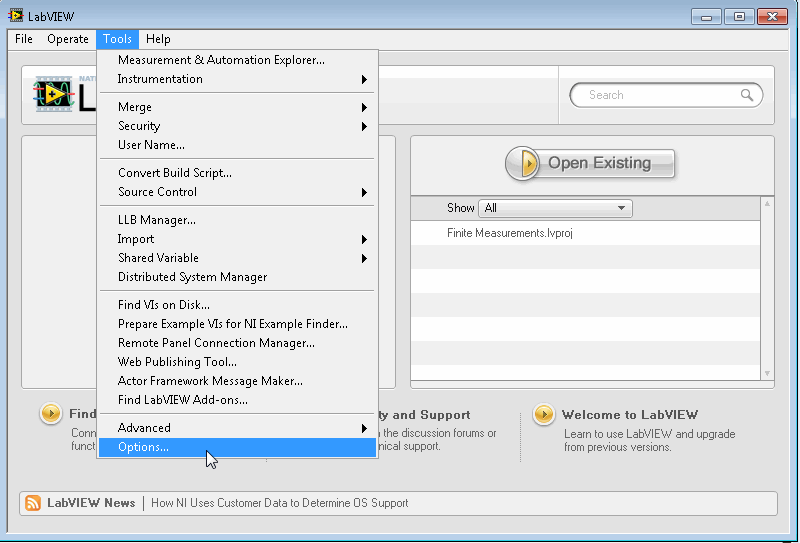 BLT for LabVIEW needs to connect your LabVIEW Development Environment to be able to programmatically build and configure your products. 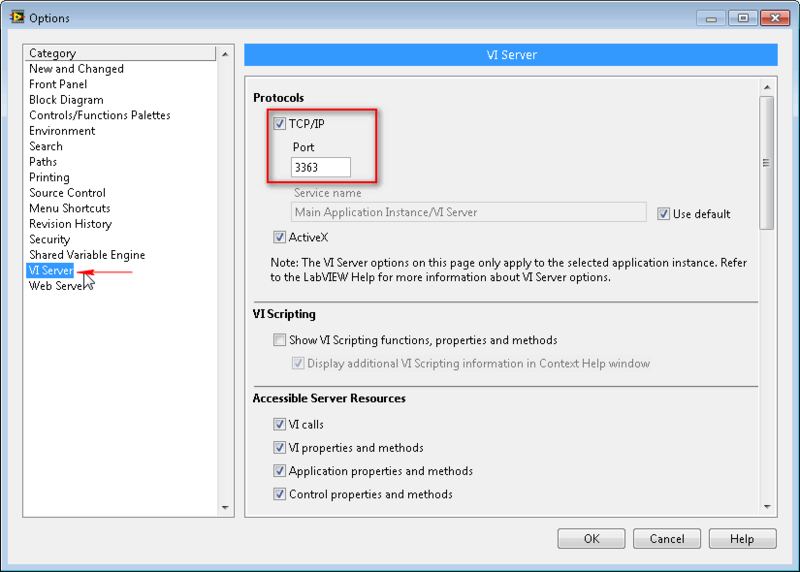 This is done by connecting the LabVIEW VI Server from BLT. 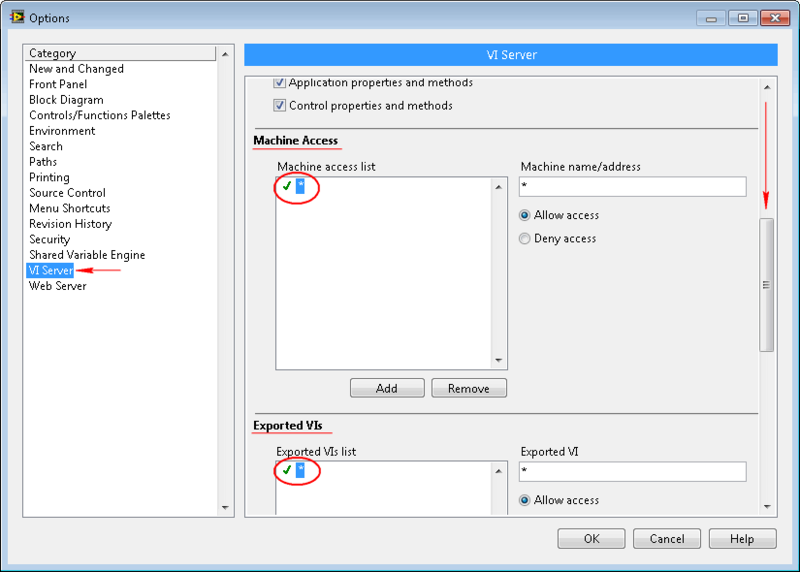 oScroll down the window and make also sure that the Machine Access list and the Exported VIs list are properly configured to allow your machine to connect any VIs. oSelect BLT for LabVIEW in the tree and click on the fist icon in the menu bar to access the LabVIEW connection settings. 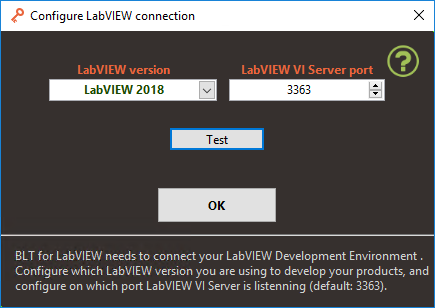 oChoose which version of LabVIEW you are using and enter the port number you've configured on the VI Server options dialog in LabVIEW. oClick OK. BLT should now be able to communicate with LabVIEW.